Greek inflation is slowing down tremendously, from more than 4 percent in 2010 to expected deflation in 2013 and 2014. 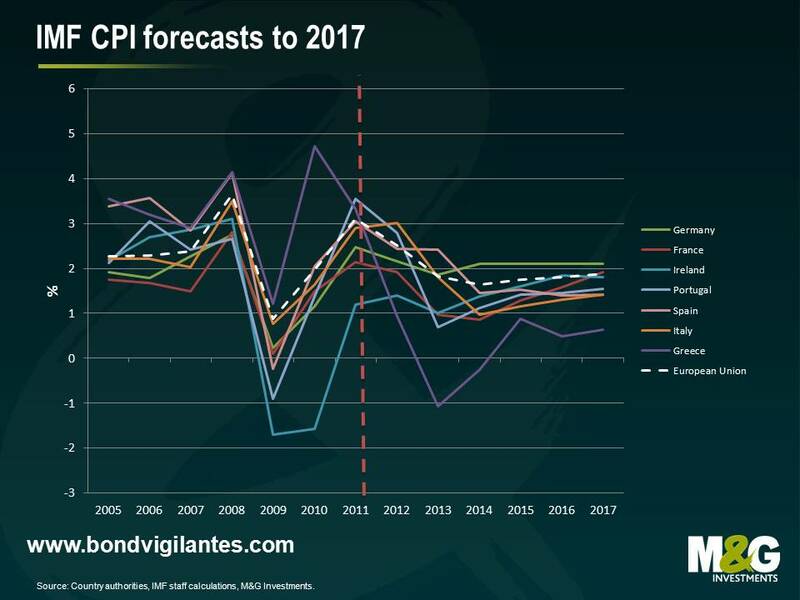 The other countries are expected to have their inflation rates to be relatively close to the EU average. Lower in Spain and Italy and higher in Germany. The big message of these euro graphs to me is idiosyncratic shocks. You're seeing a 6% spread of inflation at some points, and that says that a single monetary policy really isn't optimal.